George Warren Kinney, 87, a retired Air Force colonel who flew missions during World War II and the Korean and Vietnam wars, died June 2 of complications from a stroke at Capital Hospice in Arlington County. He was a former Annandale resident. Col. Kinney was born in Olene, Ore., and grew up in Klamath Falls, Ore. In 1937, he lied about his age and enlisted at 17 in the Oregon National Guard. In 1940, he was inducted into the Army and commissioned as a second lieutenant the next year. After transferring to the Army Air Corps, he was based on an island off Papua, New Guinea, during World War II and flew combat missions over the Southwest Pacific. 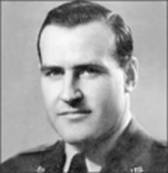 He remained in the Air Force after the war, attended the Air Command and Staff College and served as an exchange officer with the Royal Air Force in England in 1950-51. During the Korean War, he flew missions out of Ashiya, Japan, in tactical airlift aircraft. In the late 1950s and early 1960s, he flew missions over the mountains of Pakistan at an altitude so high his small prop cargo plane had to rely on bolted-on jet engines. He later served in Saudi Arabia and France, where he was commander of the 317th Tactical Command Wing. As a 44-year-old colonel stationed at Langley Air Force Base, he was required to go to jump school, where he trained to be a paratrooper with recruits 20 years his junior. In Vietnam in 1967, he flew C-130s with the 834th Air Division and survived a Viet Cong rocket attack at Tan Sanut Air Force Base in Saigon. He received the Legion of Merit with four Oak Leaf clusters, the Distinguished Flying Cross, the Bronze Star Medal and five Air Medals.